A house in Southeast Queens, epicenter of the foreclosure crisis in New York City. One recent Saturday, 59-year-old Myrna Barnes walked into a Queens gymnasium full of homeowners in danger of foreclosure, looking for some advice about saving the home she had lived in since she was nine-years-old. The gym, on the York College campus, had been transformed into the grounds of a Home Rescue Fair. Ringing the sidelines and the baselines sat rows and rows of bank representatives working at laptops on folding tables, reps from Freddie Mae and Fannie Mac, and a small fleet of housing counselors and legal service providers. All around, distressed homeowners sat, watched, and waited their turn to meet with someone who could help them figure out what to do. Barnes sat on a folding chair, waiting to meet with an advocate in the legal services area. “We’re here to save our homes,” she said. That day, Barnes was one of approximately 830 homeowners to attend the fair organized by the Center for New York City Neighborhoods (CNYCN), the city’s de facto foreclosure response team. Like her, the overwhelming majority were people of color. While the national foreclosure crisis that started in 2007 has receded in New York, it continues to rage throughout many predominantly black and Latino city neighborhoods. Despite a slight dip in the number of properties entering foreclosure citywide at the end of last year, “we still see, by historical standards, very elevated levels of foreclosure activity in predominantly nonwhite neighborhoods in 2010,” says Josiah Madar, a research fellow at NYU’s Furman Center for Real Estate and Urban Policy. Foreclosure activity remains highly concentrated in southeast Queens, north-central Brooklyn, and the north shore of Staten Island. According to the Furman Center’s State of the City 2010, last year more than 50 percent of properties that were acquired by the foreclosing lender were found in fewer than nine percent of the city’s community districts. A report co-authored by the Manhattan-based Neighborhood Economic Development Advocacy Project (NEDAP) this spring found that, between 2008 and 2009, conventional refinance lending decreased by 14 percent in New York City’s neighborhoods of color, while lending in the city’s predominantly white neighborhoods increased by more than 110 percent. Difficulty refinancing means distressed homeowners of color may be having a harder time holding on to their homes than distressed white homeowners. The racial disparities were evident at the fair, and are apparent in the client bases of organizations helping homeowners avoid foreclosures. 75 percent of the clients of CNYCN are people of color, says Michael Hickey, the organization’s director. More and more of those who come to CNYCN for help have “good,” fixed-rate mortgages, as opposed to those that derived from subprime loans. But many of them can’t make the payments on what are otherwise attractive loans because they lost all or part of their income during the recession, which disproportionately affected people of color. “You look at the neighborhoods where the foreclosure crisis is occurring, and these are communities where there’s a large concentration of people connected to the service economy, or to the public sector, both of which have really suffered in the downturn,” Hickey says. Many also find they don’t qualify for federal programs designed to help distressed homeowners. “It’s very difficult to predict who will be successful in getting a modification because the system is so…full of misinformation and lost documentation and inconsistent responses that two people who look exactly the same may get completely different results from the same bank,” says Hickey. In this slack job market, analysts at NEDAP worry that foreclosure will affect distressed homeowners’ credit score—which could be viewed negatively by potential employers. Myrna Barnes inherited the home she lives in now from her family at the age of 25. Her mortgage troubles began when her husband, who is self-employed, got sick and needed surgery. She had left a stressful nursing job, thinking she would be able to find another position in the same field, and neither she nor her husband had medical insurance at the time. When two hospitals in Queens closed, it was even harder for her to find employment as a nurse—”Boom. Nada. Nothing,” she says. To get help, Barnes applied for a modification under the Home Affordable Modification Program (HAMP), and was denied. She applied for an internal review, and was still denied. She came to the Home Rescue Fair hoping to meet with her lender. But when she arrived and looked for her bank she realized that none of its representatives were present. Finally, Barnes’s turn came up. She went to sit with a representative from the Alliance for Stabilizing Our Communities. When she got up from the table, she had a business card for someone at the Mutual Housing Association of NY; she was told to contact them in case she gets any letters from her lender. 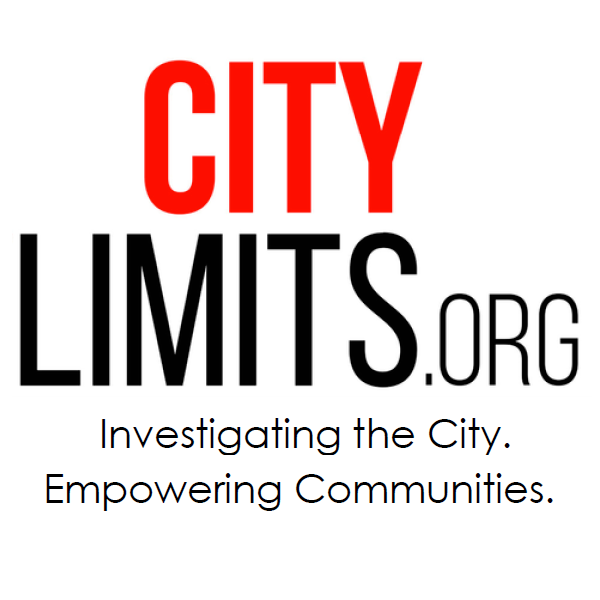 CNYCN is a unique organization in the foreclosure landscape. It grew out of a number of advocacy organizations that were on the frontlines in the neighborhoods where subprime lending was targeted. As these groups spotted more and more mortgage offers that didn’t add up, “they saw trends that they found really disturbing,” says Hickey. So with the foresight of other key players, including Sean Donovan, New York’s former housing commissioner, now secretary of the department of Housing and Urban Development, CNYCN was set up in 2007. “They basically started planning for disaster response,” says Hickey, who reported for work before Freddie Mac and Fannie Mae fell into receivership, and before Lehman and AIG imploded. Since then CNYCN has attended to nearly 15,000 homeowners facing foreclosure, or having difficulties meeting other household expenses due to loss of income. The organization also puts clients in touch with legal services, and tries to negotiate other options that include short sales, refinancing and reverse mortgages. The bulk of CNYCN’s one-on-one work has been negotiating mortgage modifications. But clients seeking them often find themselves in circumstances similar to Barnes’, Hickey says. CNYCN has approved many a modification proposal, only to see it denied up to five times before finally getting approved. “The system appears to be so capricious in that regard, it’s one of the hardest parts of the work that we do,” he says. Advocates are currently pursuing several avenues that address the foreclosure fallout. Some look to the recently created Consumer Financial Protection Bureau as a potential bastion of consumer rights. Although the agency launched July 21, it still lacks a director, under Republican threat to block confirmation until more controls are placed on the agency’s powers. Others are monitoring the settlement negotiation on fines and penalties between the top five mortgage servicers and the 50 state attorneys general. Last fall, New York’s judiciary became the first in the country to require that attorneys filing foreclosure actions also submit an affirmation to verify that their clients’ paperwork is accurate. The measure is intended to prevent the robo-signing of foreclosures that erupted last year. On one hand, the new rule has forced attorneys to review documents that before were submitted to the courts largely sight unseen. On the other, those attorneys are filing foreclosure actions, but stalling on the next step — filing the Request for Judicial Intervention, which triggers the new affirmation requirement, in addition to the settlement conference process. In the meantime, legal aid attorneys are trying to safeguard houses, one at a time. For the past two years, the state has been funding legal aid for homeowners facing foreclosure. But that money has now been axed from the budget, set to expire in December. Racial disparities in foreclosure also have broader social repercussions. As the crisis strips a disproportionate number of black and Latino families of the equity in their homes, it threatens to further expand the country’s yawning racial wealth gap. For each dollar of median white family wealth, Latinos possess 12 cents of wealth, and African-American families claim only 10 cents of wealth, according to the Insight Center for Community Economic Development. The Greenlining Institute, a public policy research and advocacy group based in Berkeley, California estimates that while white families impacted by foreclosure will lose about one-third of their wealth, African-American and Latino families who are impacted will lose two-thirds of their wealth. “Home ownership is the number one wealth creator in those communities,” said Rep. Gregory Meeks, standing in the gymnasium that day at York College. His Sixth New York Congressional District has been one of the hardest hit by foreclosures in the state. He recounted the formula for foreclosure in his district: teaser rates expire, mortgage rates go up, income that was never verified is no longer sufficient to cover the payments, property values go down, and people don’t have the recourse even to sell at the end of the day. For Meeks, who grew up in public housing and now sits on the U.S. House Financial Services Committee, the home his parents bought was a major stepping stone in his own life. They used the equity from their home so he could go to college without incurring too much debt. His family wouldn’t be where it is today if it wasn’t for that, he said. “There’s a crisis that’s taking place and folks need help,” he added. The Furman Center’s State of the City 2010 found that, “historical racial disparities in homeownership widened over the last decade.” Although homeownership rates have risen for all groups since 2000, white household ownership increased seven percentage points, and Asian home ownership increased by six points, compared to a three point increase for both black and Hispanic households. Can Private Advice Save A Threatened Public Realm? From schools to public housing to hospitals that serve the poor, private firms are being brought in to rescue remnants of an earlier, more ambitious era of government. The president&apos;s neighborhood-based anti-poverty initiatives will soon move into a second stage. But in an era of budget-cutting, Promise Neighborhoods and Choice Neighborhoods face a steep political challenge. Raphael Cestero&apos;s departure comes as Mayor Bloomberg&apos;s affordable housing construction plan enters its final years.